Winner has been chosen, congrats Janice! My son has gotten me on a smoothie kick again. I’ve filled the fridge with fresh fruits and the freezer with an assortment of frozen berries. We’ve been making smoothies almost everyday for breakfast and sometimes after school too. My son isn’t big on the traditional breakfast I usually make like scrambled eggs and toast, so this is a mice treat for the whole family. Smoothies are the best because you can make them however you want. This strawberry banana with a little tough of chocolate is a favorite of mine too. It’s got just a hint of chocolate, so it’s not to sweet. It’s so delicious! To make this smoothie I used this blender from Wolf Gourmet. 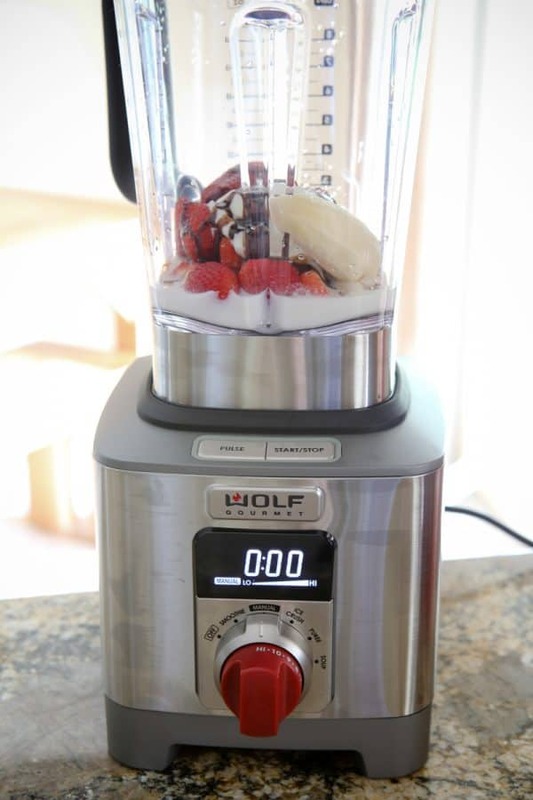 Our friends at Wolf sent us this amazing blender to try out. I couldn’t believe just how strong it was. I thought my old blender was nice, I was wrong! The controls on the blender are so user friendly. You just turn the knob to where you want it, and push start. There are settings for smoothies and ice crushing. The manual mode is controlled by settings from low to high on the red knob. I love the simplicity! I just added all the ingredients to the blender. And then gave it a whirl! It’s done in just 60 seconds! 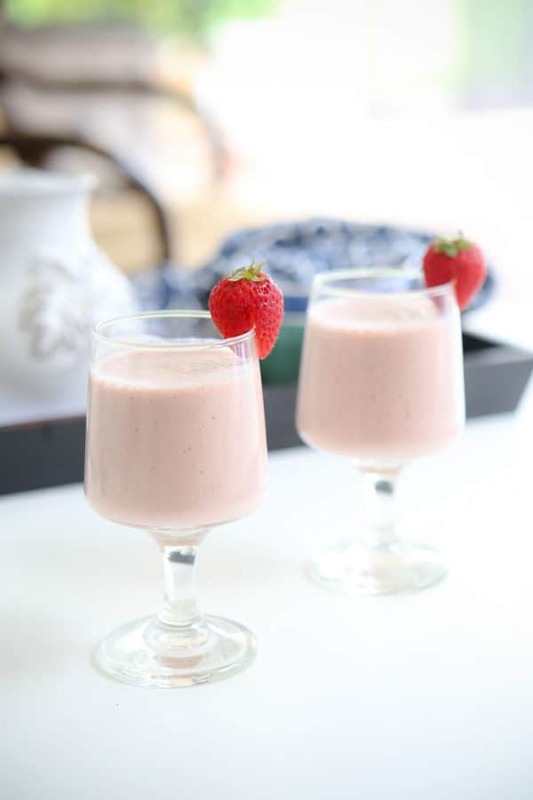 Then you have a fresh delicious smoothie perfect for those hectic mornings. 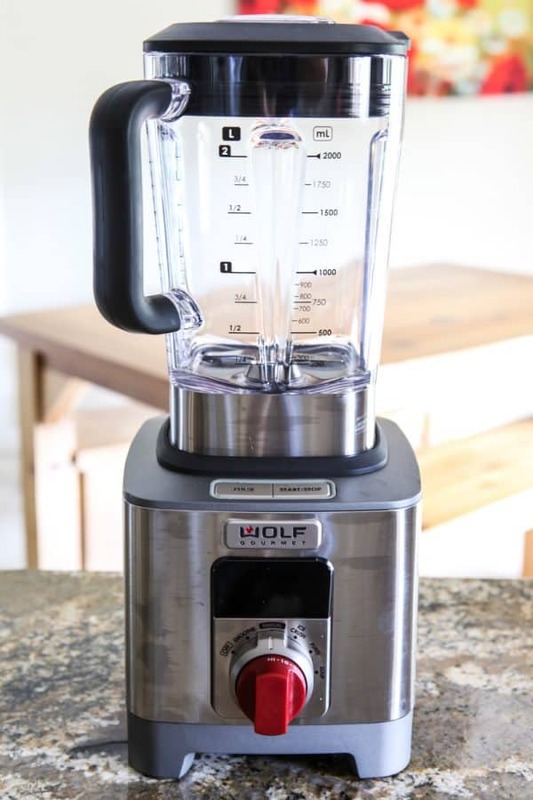 For a chance to win one of these beautiful Wolf Gourmet blenders, just leave a comment in the comment section below telling me your favorite smoothie! Giveaway Terms & Conditions: Open to anyone and everyone 18 years of age or older with a valid US shipping address (No P.O. Boxes please!). Winner will be randomly selected using random.org on October 31, 2017. They will then be contacted via email. If you are that lucky person, you will have 48 hours to respond and confirm your shipping address, otherwise a new winner will be selected. 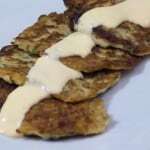 Combine all ingredients in blender and blend on high for 60 seconds, or until well blended. 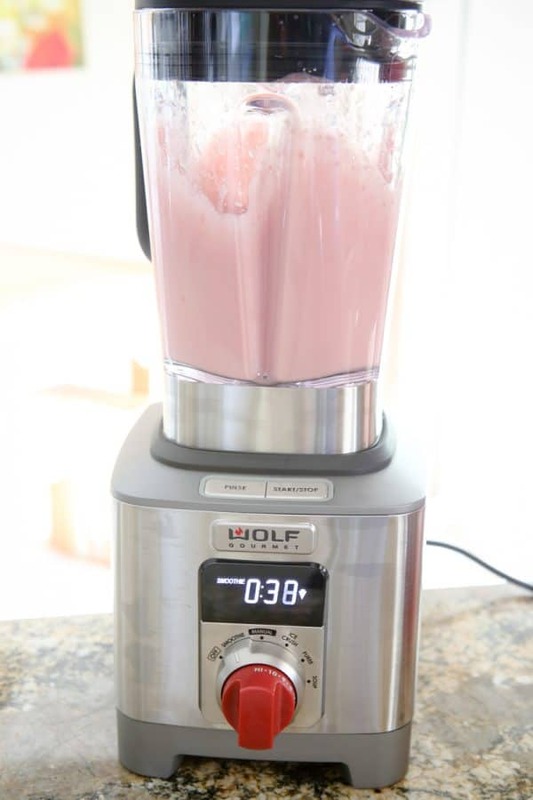 Wolf Gourmet provided us with a Blender for testing and review purposes. All opinions are 100% my own. My favorite smoothie contains bananas, strawberries, blueberries, vanilla frozen yogurt and cherry juice. My favorite smoothie right now is my Pumpkin Smoothie! It is so good. Thanks for this awesome giveaway! What an amazing blender to make these smoothies in! We like to make our version of an orange julius, which is basically just ice, oranges, and sugar. My favorite smoothie is banana and yogurt. My favorite smoothie is a kiwi sunrise. Kiwis, strawberries, orange juice and frozen yogurt. 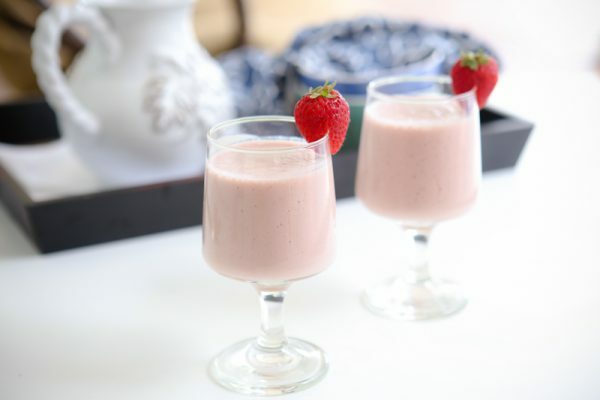 My favorite smoothie is yogurt, strawberries, and ice! My favorite smoothie is Black Raspberry Vanilla. I am lucky enough to have Raspberry and Blackberry bushes in my yard so I try to use them as much as I can. My favorite smoothie has honey, milk (I use coconut), half a banana, pear, ice, something green (i use spinach), ice. My favorite smoothie is cucumber and pineapple. I like strawberry banana smoothie. I love a smoothie made of chocolate flavored protein mix with blueberries, bananas, and strawberry yogurt. protein powder & peanut butter. 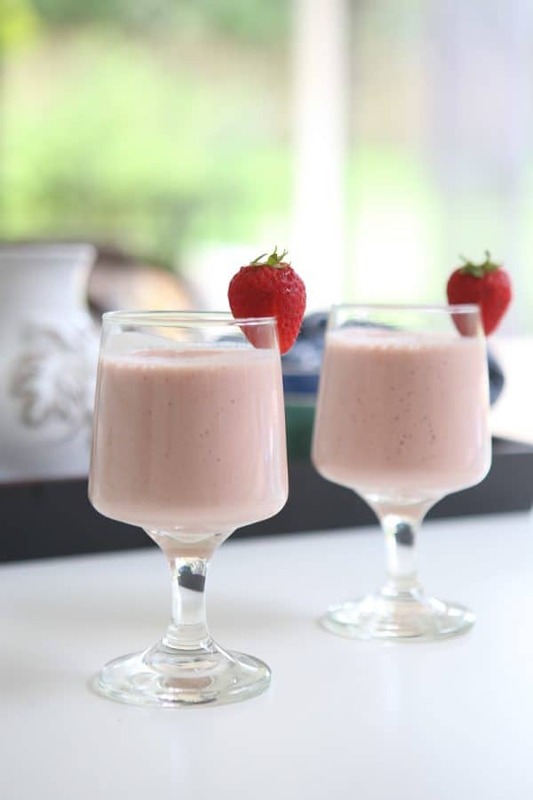 To make my favorite smoothie I use a frozen banana, strawberries, vanilla Greek yogurt and crushed ice. This is so yummy. I love to add pineapple and tart cherry juice to yogurt, ice and any other fruits I have on hand. pineapple and cherry juice has inflammation properties. I like bananas, cream, a bit of chocolate and coffee for a sweet treat! My favorite smoothie is strawberries, bananas, peanut butter powder and almond milk. Frozen Bananas and Cherries with Chocolate Almond Milk. My favorite smoothie is a Peach-Raspberry Smoothie. My favorite smoothie is raspberries, coconut milk and vanilla yogurt. Does a chocolate malted count as a smoothie?? LOL. I love mixed berry smoothies, with lots and lots of cherries. Strawberry banana is my favorite smoothie. My favorite smoothie is a chocolate strawberry smoothie! My favorite is bananas, blueberries, strawberries and a scoop of vanilla ice cream or vanilla yogurt. I love banana strawberry with any other fruit I have on hand. Blueberries and oj are nice additions. My favorite smoothie is plain yogurt, blueberries or stawberries or peaches or all three with a splash of honey and 1/2 cup of almond milk and 1 TBSP protein powder. My favorite would have to be strawberries and banana! My favorite smoothie is blueberry and banana with some almond milk and a bit of peanut butter. I love Blueberry Banana Oatmeal Smoothie. My favorite smoothie is a strawberry banana smoothie! I love frozen strawberries, frozen banana, strawberry greek yogurt with a little bit of orange juice all blended together. My favorite smoothie is pineapple, bananas, coconut with ice. Can’t wait to try your recipe with chocolate as a sweetener! Yum! Strawberry & Banana is my favorite. My favorite smoothie is a tropical dream. Banana, pineapple, mango, and shredded coconut ! A banana, apple smoothie with flax seeds is my favorite. I love a strawberry, blueberry,and banana smoothie.